If you're not a developer, designer, or even a web person , but you have a business or brand that you want to get online, here are some hosts you can sign up with that won't require you to hire design services or developers. The answer is, having a website is pretty stinking cheap these days. Most of the following hosts have plans starting at FREE! And unless you have hundreds of thousands of visitors a day, less than $10 a month gets you a pretty powerful setup. Before we get into web hosting, it's worth mentioning that if you have a business, and especially if you cater to local clients in your area, you should get your business listed on maps! Many people use Google Maps or other map services to find businesses while they travel, or just as a normal way to search (I do!). It makes sense to update your listing on the most popular map services. Maybe you don't need a full-fledged website; maybe you just need a personal brand page or business page. If that's the case, try the following services. All free! The king of social profiles title still belongs to Facebook. 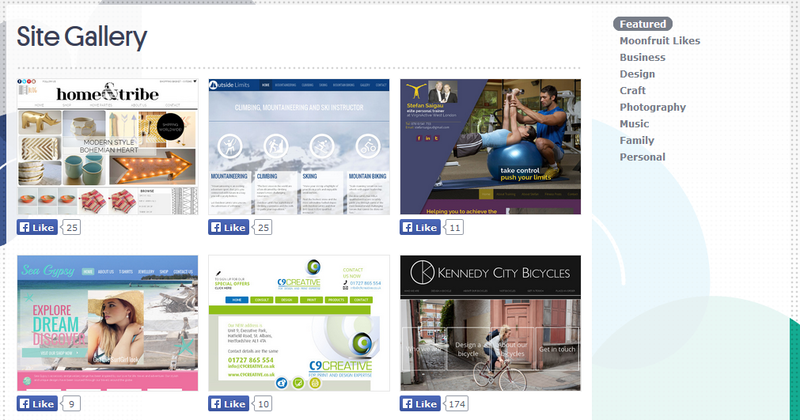 If you have a personal profile already, you can create a page for your business too. In a company I work for, when searching Google for the company name, the Facebook page comes up even before the primary website! You would benefit here if your business revolves around you personally as the brand. If you're a consultant or freelancer, or do business-to-business or networking, then LinkedIn can help. Start with a free profile, but you may want to upgrade at some point. If your business is connected to media, perhaps through YouTube or other Google services, then G+ is a good idea. If your business is a personal brand, similar to what I said about LinkedIn, this could be for you as well. Yes, Myspace is still around! And mostly owned by Justin Timberlake. The site focuses mainly around music and the arts, culture, and lifestyle. If your brand is in music and arts, you should think about a profile here. This is a category all its own, but if you have a local business with high foot traffic and a young culture, take a look at Foursquare. If you have the type of business that would benefit from the social activity as created by Foursquare, this is a top option for you. Any business with high traffic, or a youth-centered atmosphere, is a good fit. Coffee shops, entertainment outlets, media stores, places that are hip and cool! Here's a list of services to host a free website to get you started, in no particular order. Just please, as soon as possible, upgrade to premium features and get your own custom domain name! Most free hosts won't let you have a custom domain such as www.mysuperpetcollection.com, but instead will offer something more like mysuperpetcollection.someservice.com. To be more professional, upgrade to a custom domain name. Free services also typically do some sort of advertising, such as sticking ads at the bottom of your site, or an occasional popup shown to your users. Another reason to upgrade as soon as you can! Disclaimer: No links in this article are affiliate links. You won't get your own domain name with the free package, and you only get three pages, but it's ad-free and the templates are fine. Try this if you only need a couple pages and don't care about having your own domain name yet. When you're ready to upgrade, you can get a free domain name with purchase of the next package which is only about $4.17 per month for unlimited pages and bandwidth, and 2GB of storage. Site123 is a site builder with a simple pricing system that includes a free-forever plan, and its standout feature is its sidebar-based website builder, which makes laying out pages much more efficient than traditional drag-and-drop builders. 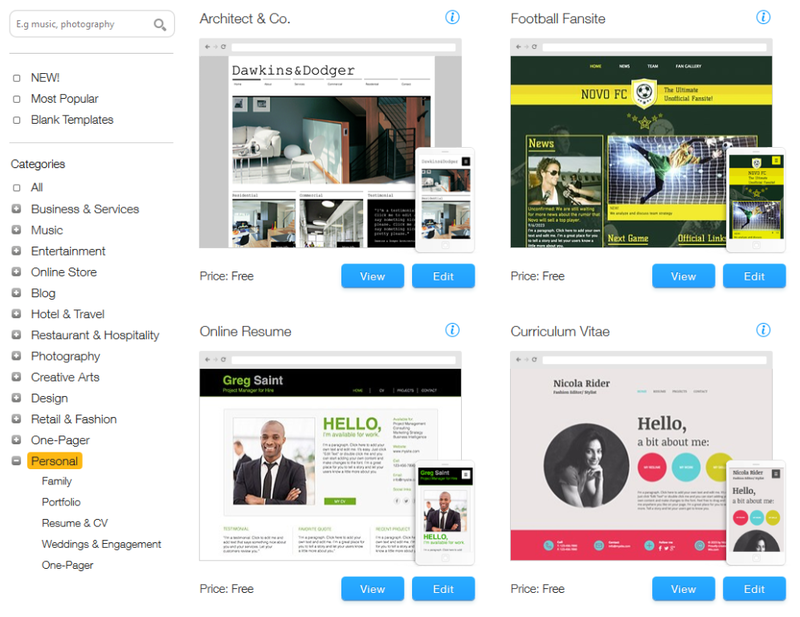 One of the more highly regarded free hosts, Wix has nice templates, add-on apps, unlimited pages and much more. You won't get a custom domain name, and you'll see Wix advertising. The $4.08 per month upgrade gives you a domain but doesn't remove ads; you'll need the $9.25 per month option to get rid of those. The free templates here seem a little aged, but their tagline is Free Website Builder . For those who want to tinker a bit more on the default templates, they allow more customization. Their first upgrade path is for $14 per month to get a domain name, SEO tools, unlimited bandwidth and 3GB of storage. The free option allows 15 pages, including ads for Moonfruit. You'll have to upgrade to get your own domain, more pages, and remove branding. This one has an addition of ecommerce features and allows you to build a shop and publish products to other networks. They have clean, minimalist designs, built with HTML5, and are mobile optimized. The first upgrade is $4.50 per month when billed annually, and it removes ads. Another option with ecommerce abilities and unlimited pages. The first upgrade is $8 per month to get your domain added and remove branding. This service integrates mobile features such as mobile management of online orders and analytics. There are some advanced features here worth looking at, including a drag-and-drop template editor and email with your domain. The granddaddy of all free hosts is WordPress. The company proudly declares that it powers 24% of the internet , whatever that means! You can build many types of sites on the free account, but you'll need a paid account to get into ecommerce and use your own domain name. You wouldn't go wrong choosing WordPress, though its templates are still somewhat blog-centric, as it's primarily a blogging platform. This is a special mention, simply because it's free. Tumblr is more for personal sharing or blogging than for businesses. If you simply want a website to share your favorite things and blog, check out Tumblr. What If I Want a Tad More Control? If you intend to grow your website into a huge ordeal, catering to thousands of customers with full online account management, ecommerce and the whole bit, you'll want to look into dedicated hosting and eventually having your own web developers managing things. A dedicated host doesn't necessarily imply big costs, but it does mean more ability to customize. You'll own a server in the cloud , and you can do as you please with it. You'll need to learn some things, or hire a developer on occasion for small tasks. What you want to look for is a hosting provider with a control panel on their systems. One of the most popular is called cPanel. From this one control panel, you can view analytics, make backups, create email accounts, perform file management, and install the website software itself. There are many more, though, so I recommend you look around a bit. The good thing about these more powerful hosting options is that they tend to give you a free domain, and support custom domains from the start, with no branding or advertising. And they really aren't that expensive to start! It's beyond this article to go in to tutorials, but I chose all these providers because it really is super simple to get set up with them. With the free hosts, you would sign up, pick a theme, customize a little, and it's done. 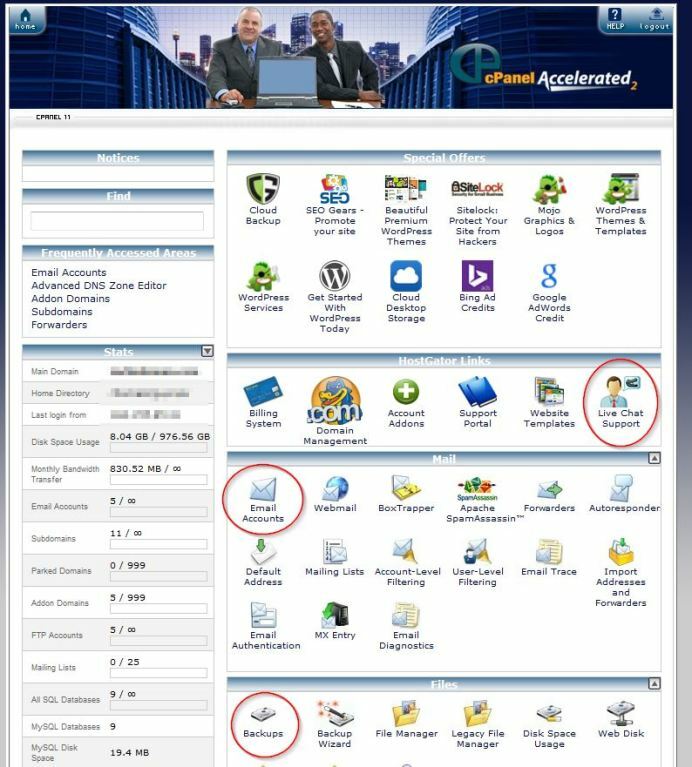 With a service like Hostgator, you would sign up and be given access to cPanel. Your server will most likely be empty of any software. When logged in to cPanel, look for 1-click installers for setting up software. For example, a service called Softaculous is quite commonly found. Here is just a small section of my Hostgator cPanel. Notice some of the features I circled. It also tells you the status of features in the left column. There are about nine more panels of icons out of view! If your main intention for a website is purely as a store to sell stuff, we move into yet another category. Ecommerce is a world unto itself, with many types of concerns a normal website doesn't have. There's one major design decision for an ecommerce website. You can design a standard website and retrofit ecommerce abilities into it, or you can buy a complete ecommerce solution and retrofit standard website features into that. I dare say trying to plug ecommerce into existing regular websites is the harder of the methods. Dedicated ecommerce software is, for the most part, always superior to add-on ecommerce carts. Trying to retrofit a cart into an existing site can be extremely difficult and require developers and designers to make it work for you. There are two basic types of pure cart: those that you install on your own server and manage yourself, and those which you pay a monthly fee to rent as a service in the cloud. The list goes on and on and on. It depends on your needs, type of products, complexity of products, and the size of your business and budget. You'd have to research all of these and more to find just the right fit for you! 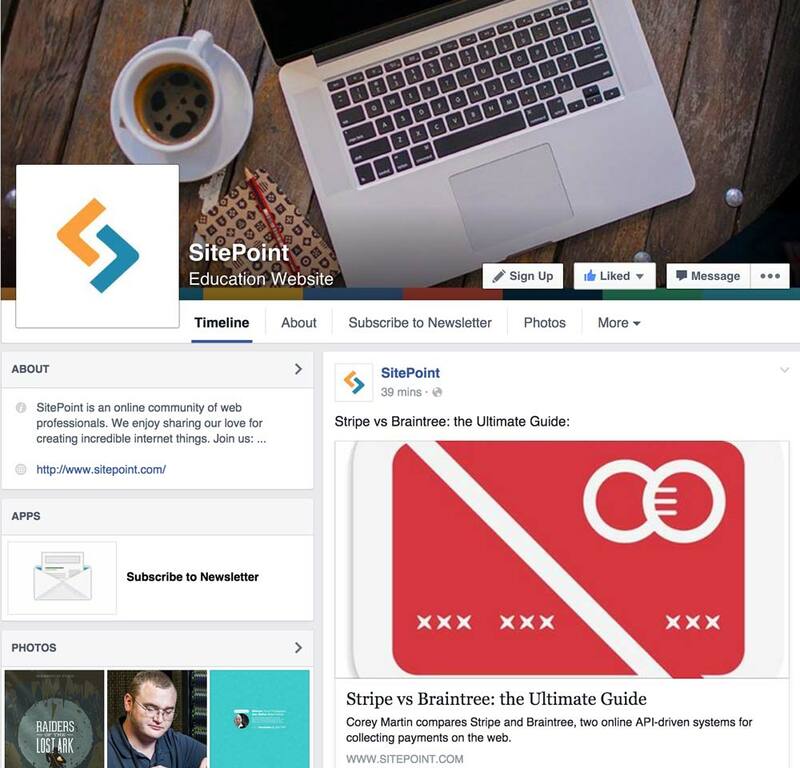 Sitepoint publishes many articles regarding shopping carts. The easy-button for a non-technical person trying to get their store up and running is to use a SaaS (Software as a Service) rental cart with a built-in theme. All you would need to do is edit your colors, get a logo design made, and you're good to go. Definitely take a look at the top three most popular carts Shopify, Volusion and BigCommerce. I lean toward BigCommerce for various reasons. As you get more technical, grow in size, and want highly personalized branding and user experience, you may move to a self-hosted cart like Prestashop. The big daddy here is Magento. It's complex and large, needs a powerful server, but can do most anything you want if you have a team of nerds to work on it for you! Examples of carts you can retrofit into existing websites include Foxycart and Ecwid. You definitely need a developer to help with those! I've just shotgunned you with nigh unlimited choices to get your website up and running fast with no to little technical help and no to little cost! Whether your budget is free, cheap, or Donald Trump sized, there is an option for you here. Now go make a website!